Coach Wayne Bennett after the loss and on his way to post game presser, NRL Broncos v Dragons Round, Suncorp Stadium, Milton. Photographer: Liam Kidston. 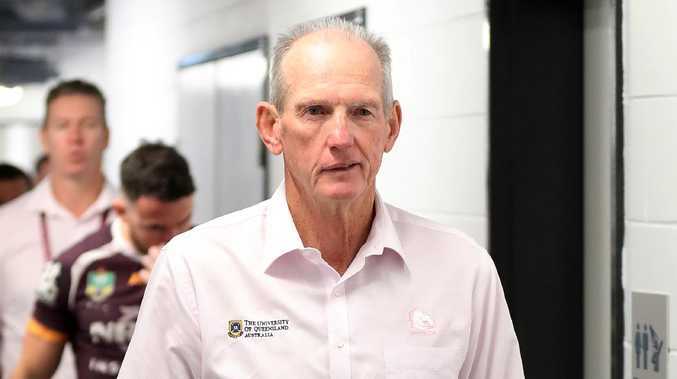 BRISBANE is preparing the dotted line for the next Broncos coach as the club's list of potential Wayne Bennett successors shrinks. The panel, consisting of Broncos legend Darren Lockyer, CEO Paul White and chairman Karl Morris, will conduct interviews with Anthony Seibold, Michael Maguire, Kevin Walters and current assistant coach Jason Demetriou and will reportedly have a decision this week. Bennett was denied an extension after requesting to stay at the club post 2020. His tenure at the club, which has resulted in six premierships across four decades, will end at the end of the 2019 season. Retired North Queensland legend Johnathan Thurston threw his weight behind Demetriou, who helped coach the Cowboys to their 2015 premiership under Paul Green, to snag the promotion. "I really enjoyed being coached by JD. He's got a great football brain and talks well to the players and knows how to get his point across as well," he said. "He is very well liked at the club so if they (the Broncos) do give him the job no doubt he will do it justice." NRL.com reported all candidates went under psychometric testing by an independent company. 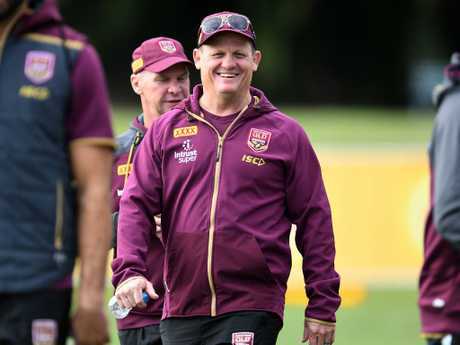 Longtime Broncos forward Sam Thaiday said he'd "love to see" Maroons coach Kevin Walters take over the reins at the Broncos. "Culturally he understands what the Broncos are about and he knows the standards and structures that we have in place here," he said. "Kevvie lived and breathed that culture for the years he played here and he will continue those standards." Meanwhile Bennett says he wants to continue coaching England beyond his 70th birthday. The 68-year-old supercoach signed a new two-year contract with the Rugby Football League after guiding Englandto the World Cup final last December. 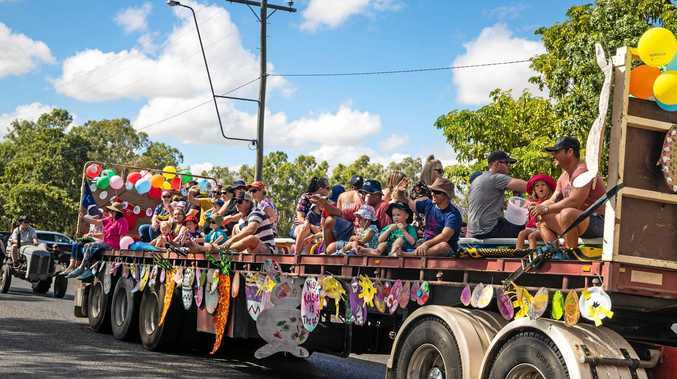 Bennett's latest deal will end after the Great Britain Lions to Australia in 2019, but the former Kangaroos coach has not ruled outstill being in charge when Mal Meninga's side tour England in 2020. "I hope so," said Bennett, speaking on the eve of England's one-off international against France at Leigh on Wednesday. "I certainly will be next year. We'll just have to see how I'm going but, if I'm not getting the job done or lost the players' confidence, then I won't stay longer than I should." Bennett, who has been told by the Broncos that his contract will not be renewed at the end of 2019, refused point blank to discusshis club future amid speculation that he is interested in the Wests Tigers vacancy but he spoke enthusiastically about hisrole with England. The evergreen coach, who succeeded Steve McNamara in 2016, says he is seeking talks to establish details of the 2019 Lionstour amid a lack of interest from the NRL. Bennett also wants to speak to the RFL's rugby director Kevin Sinfield about securing a replacement mid-season fixture for the Denver Test which was due to be held for a second time in 2019 but has been scrapped after the promoter failed to meet the deadlinefor payment. "I'm disappointed with that because the mid-season Test is really important to us," he said. "I'm just not sure where it's going. I see Tonga and New Zealand have positioned themselves to play each other and I justneed to talk to Kevin and a few of the staff to find out what is really going on. "We need that mid-year Test because it has helped us enormously and I don't want to lose it." RFL chief executive Ralph Rimmeris thought to be currently in negotiations with the Rugby League International Federation about the Lions tour, which is likelyto be held mostly in New Zealand. "Again, I've had a couple of mixed messages on that so I'm not totally across it," Bennett said. "I wouldn't lose any sleep over not playing Australia. Tonga, Samoa and New Zealand are all quality football teams there butif Australia isn't part of the tour then it's not part of the tour. "I'm not privy to that, I'll just do what I'm told in terms of who we are playing. Australia will be here in 2020, so we'renot going to miss out on playing Australia." Queensland great Kevin Walters understands the Broncos’ culture, says former forward Sam Thaiday.